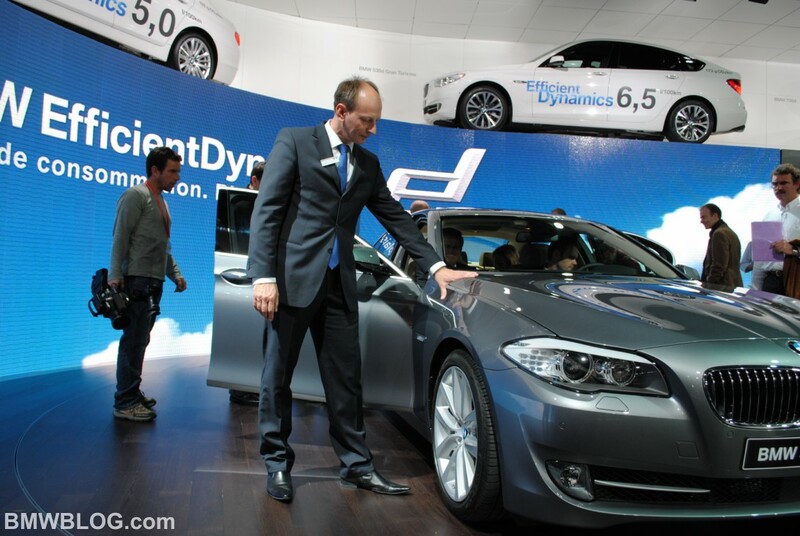 At the recent Geneva Motor Show, BMWBLOG sat down with Jacek Frohlich, the exterior design of the new BMW 5 Series. 44 years old Jacek Frohlich, Polish born German, studied Architecture at Silesian University of Technology, Gliwice, Poland (Master 1989) and at Pforzheim University of Applied Sciences in Design, Technology and Business (1989-1993). 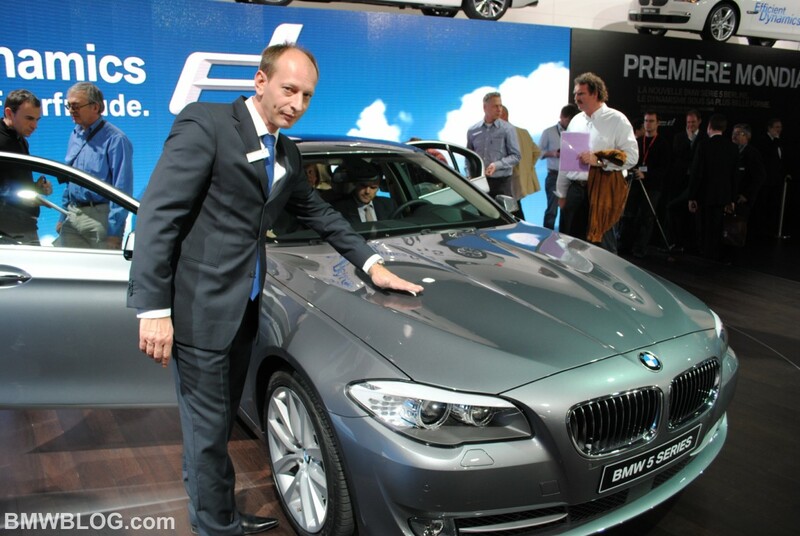 He is the latest designer responsible for the BMW 5 Series, the core product of the Munich-based automaker. In our interview, Frohlich talks about the new design language, the design challenges around the pedestrian regulations and the design process from its inception to delivery. BB: What was the starting point for the new design? What were you trying to accomplish with the new 5 Series? JF: I wanted to do a car that rides very elegantly and very sporty; and sportiness was the main idea. But… it had to be a very classic car, not extremely avant-garde. I did try to do something with the surfaces so the car shows its muscles. Really tight, sporty car. BB: Why is the new design so different from the E60? JF: Because what we tried with the E60 was to make the car look more avant-garde. Just avant-garde. BB: Are there any design elements in the new 5 Series coming from other BMW models? JF: We wanted to maintain the look of a BMW, so it had to look like a car from the big BMW family, but with its own character. We still played with some details, some features that are very BMW – for example the kidney grille, the L-shape of the rear lights and the Hofmeister Kink – very typical BMW features that we use in all our cars. BB: Looking at the hood, I see a lot of lines, similar to some of the newer models. Is it safe to assume that it is a characteristic that we’re going to see moving forward in other cars, as well. JF: It’s true that the outline has something to do with the 7 Series. And the inline has something to do with the Z4, because it’s very sporty while the 7 Series is very representative, so I tried to mix it, and the surfaces, which are between the lines are very powerful, are very expressive. BB: What are the design details that you spend the most time on to get them “right”? From talking to Adrian von Hooydonk before, after the design is complete, designers go around the car several times trying to refine it and look at the fine details. JF: I think it was the rear fender, I tried to do it as strong and as powerful as possible. It is not an easy thing to do so. I also played a lot with lights and shadows to give it a very muscular character. BB: What are some of the design features that are not immediately obvious to the buyer. 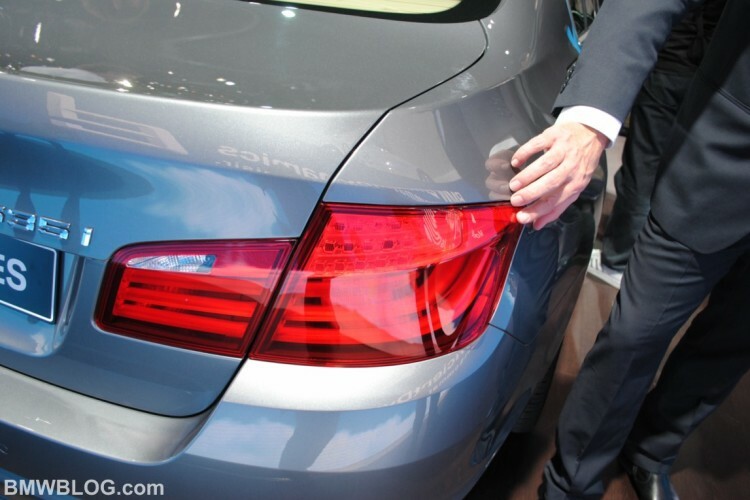 For example, the 7 Series has the aerodynamic element on the taillight and the 3D area around the Hofmeister Kink. 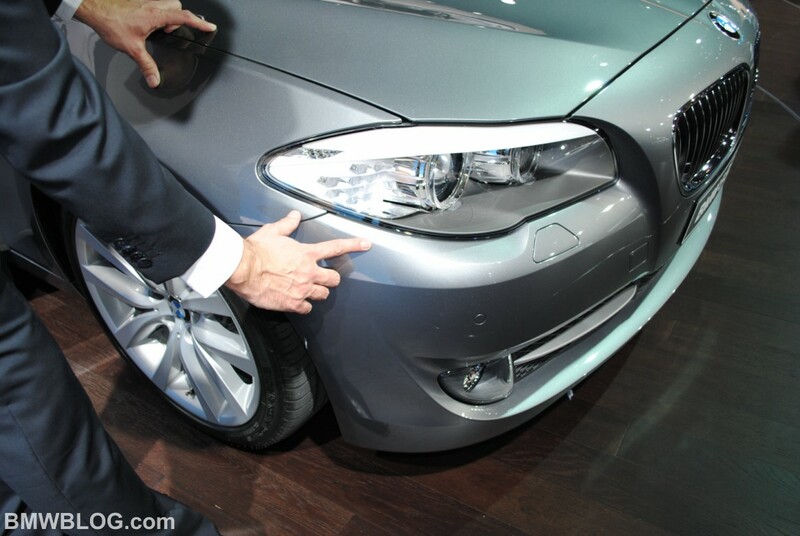 JF: In the new 5 Series, it is just the aerodynamics feature lines on the valance. BB: What could you do differently with the front design due to the suspensions using a modified double wishbone? JF: Nothing, I think. (laughing) I’m very happy with the front and the design is really like on the first sketches. Of course, there are some technical features you must think about, but the design is exactly what I wanted to do. BB: Did you have any difficulties designing the front-end due to the strict Safety Regulations in Europe? JF: No. I have received many questions on this topic. I tried to draw the design very well, so that nobody sees that we have a new technical things to take into consideration. It’s really like the sketch design and it’s also on the car. BB: Would you find it rather difficult to design a car due to those same Safety Regulations? Let’s say, compared to 5 years ago? JF: Oh yes, of course, because the bonnet has to be higher and it’s tricky to design it. It really sits higher, but we tried to keep it optically lower. It’s all about how you can achieve this and this part of my job. BB: Were any of the metals and materials used in the design of the 5 Series particularly difficult to work with? I know you’ve been using for example aluminum and different materials to keep the weight down. JF: Plastic is easy to do, because you can make of plastic everything you’re thinking of; aluminum is a little bit more difficult than plastic or metal, but we did it. BB: What natural or non-automotive design cues contributed to the overall aesthetic of the new 5 Series? Are there external influences from outside the automotive world? JF: A lot of influences, but you can’t really say this one thing influences others. There are a lot of pieces coming into my head, I mix it, and there you are. I wanted to do something with power, for example in the surface: show the power of surfaces, how the surfaces are built, with light and shadow. But not really just one thing to influence my creative works. BB: What surface feature did manufacturing have the hardest time agreeing to do so? Any particular surface that was particularly difficult to agree on? JF: The difficult thing to accomplish was around the Hofmeister Kink – it’s not really a surface, it’s a cutline which was difficult for the technical guys to implement, but with my project leader we found a way on how we could do it. BB: Any particular design cue that you’re really proud of? You mentioned the front side. JF: I’m very proud of the body sides and the rear fender – it looks very powerful and I like it very much. When I look at the three quarter rear, I’m very proud. And I like my bonnet with the lines, how the shadow lines plays with the light on the bonnet and the surface between them. I am also genuine proud of the surfaces. BB: We know a lot of designers don’t get to immediately drive the cars they draw. Have you had the chance to drive it? BB: How does it compares to the previous E60 model? Is it more dynamic, sportier? JF: I thought for the first time that I was driving a 3 Series since it is a very dynamic car. BB: How far back did you start to design the car? I know the internal process involves several rounds of internal competition. JF: First sketch I started was in November 2005, and that’s the starting time of this new model. After the initial sketches, then you move onto the next stage, the clay model. It takes one year, and after one year you still need half a year to do everything exactly how it has to be, and then you go with your car to the production and there are still some small little details that you have to do. So to summarize, I started the car in 2005. BB: Jacek, thank you for your time and looking forward to seeing your name signed on future BMW vehicles.